Are College Financial Planner Worth It? You have decided to major in Environmental Science, and now you need to pay for it! There are generally very different opportunities for graduate school and undergraduate school funding. Money you won't need to pay back to cover the costs of your Environmental Science education comes in the form of grants and scholarships. Grants are “gifted” monies, often for low income students, whereas scholarships may be earned. These can come from local to federal governments, private business or not-for-profit groups, or the school of your choice. Fellowships are similar to scholarships, but are generally very specific, and used for graduate education in science. Be sure to explore the numerous possibilities for scholarships, and look for ones specific to your own interests, you may have a better chance of obtaining them. A scholarship is funding used for an activity (such as college) which probably was awarded on merit, rather than need. It should not need to be repaid, as that would instead make it a loan. Qualifying for a scholarship depends largely on the type of scholarship being sought; it may be based on academic achievements, gender, location, physical abilities, religion, and race, among other factors. Finding a scholarship that you are eligible to receive is only a small part of the battle, since it usually requires an application and has a deadline. Other funding sources may be more forgiving of tardiness, but not scholarships. What Are Other Funding Sources? Funding for school generally comes from four places; 1) your own pocket (or those of your parents), 2) loans, 3) grants, and 4) scholarships. Of course it would be wonderful to reverse those numbers, with the bulk of the money coming from scholarships and grants, so you don't have to (re)pay for school. These different categories have been covered already; just remember grants and scholarships do not require repayment, while loans do, but the grants and scholarships are generally harder to obtain. What Are the Typical Places to Find Scholarships? Local community groups such as churches, chambers of commerce, business organizations, and foundations offer scholarships to students from their home region. Unions may promote scholarships for dependents of its members. Groups that you may have been a member of such as Boy Scouts or Girl Scouts may have funding opportunities. Many government agencies offer scholarships to students in the Environmental Sciences. The college which you select to attend probably has scholarships of its own available, though oftentimes these are reserved for juniors and seniors. Select special interest groups may have specific funding opportunities available to them as well, especially in the sciences. If nothing else seems to work, you may try to contact the company or law firm you envision yourself working for after graduation and inquire as to whether or not they would help fund your schooling. Business owners can be inspired by motivated, dedicated hard-workers. These categories will be broken down further below. Where Should I Start to Look for Funding? If you are still a high school student, you can begin with your guidance counselor. More than likely, they will tell you that your starting point for funding information is with The United States Department of Education (USDOE). Grants are based on your need for funding. You may be surprised by how much you are eligible to receive before even applying for specialty funding. If you do receive additional outside funds (a scholarship or two!) though, keep in mind your Free Application for Federal Student Aid (FAFSA�) may have to be amended. If you are already a college student you have probably done one of these last year. More than likely, there is a financial aid office at your school, with someone that can also help you find and complete it, as well as look for other funding. You are now onto finding the real thing, Environmental Science Scholarships. These are most likely based on your merit; what have you done to prove you deserve an education in Environmental Science already? It will probably help you to be as specific as possible. Is It Worth Going to a College Financial Planner? Do you have friends or acquaintances you can ask for a reference for this person/office? Are they selling you specific products? Are they going to just fill out your FAFSA or do they know of additional funding sources, whether locally or nationally? Do you pay to meet with them or is the initial consultation free? Do they locate scholarships and help submit the applications? Depending on your situation and personality, it may be worth paying someone else to fill out and submit applications. If they are really college savvy and know how to seek additional scholarship monies, they may be just what you need. Be wary of someone just trying to sell specific loan products, as the college funding industry has some of the best rates available, and you will likely already qualify for those products with the completion of your FAFSA, or similar ones through your local bank. How Do I Know If I Qualify for Environmental Science Scholarships? Scholarship applications can be very intimidating. Generally though, the terms you need to meet are well spelled out. A certain grade point average, intended college major, perhaps a certain PSAT score, home location, school location, etc. are the most common qualifiers. If it states you need to meet all requirements, and you don't, stop looking and find the next one. If everything seems applicable, check the deadline! You don't need to waste your time or that of the reviewers by submitting past the deadline, because you won't be qualified to receive it. With so many people seeking funding, late applications are the easiest to discard. American Geophysical Union (AGU) is an international non-profit scientific community. Their mission is to advance the understanding of Earth sciences. They have over 62,000 members and are governed by a board. More information about scholarships can be found here. Annie's Homegrown With the mission of cultivating a happier and healthier world by spreading goodness through nourishing foods, honest words and conduct that is considerate and forever kind to the planet, Annie's Homegrown offer Sustainable Agriculture Scholarships to a handful of undergraduate and graduate students each year. National Garden Clubs provides education and resources to promote the love of gardening and conservation in a well net-worked environment, one which also promotes civil and environmental responsibility. They offer a number of scholarships to students in their junior or senior year of undergraduate school, or pursuing their master's degree in horticulture. More information and specifics can be found here. The Environmental Defense Fund's mission is to preserve the natural systems on which life depends, through sound science and economics. They offer a few fellowships to students, including many Climate Core graduate positions. More information is available here. The National Oceanic and Atmospheric Administration (NOAA) is tasked with understanding weather, and changes to the ocean and earth, as well as protecting marine resources. NOAA has opportunities for both undergraduate and graduate students. More information may be found here. The National Science Foundation is an independent federal agency dedicated to promoting the progress of science while protecting the country. NSF has a wonderful list of opportunities for students to receive funding here. If you intend to major in a geological environmental science, a huge resource is from the Society of Exploration Geophysicists, which has put together a list of over 75 different scholarships that require a single application, and they do the work of matching you to an appropriate award, if possible. The link to filling out the application, as while as looking at the individual fellowships and scholarships, may be found here. The United States Department of Energy (DOE) is tasked with ensuring a prosperous future for the country while utilizing transformative science and technology in meeting our energy needs. Their funding is mostly for graduate students and teachers to enhance scientific education. More information can be found here. The United States Environmental Protection Agency (USEPA) is involved in both human health and natural aspects of Environmental Science and offers listings of fellowships and scholarships here. At first glance, most appear to be for graduate studies, but some are for undergraduate students as well. Other prominent places such as Oak Ridge Institute for Science and Education (ORISE) list their information on this page as well. The United States Geological Service (USGS) has sites across the country dedicated to studying the Earth, minimizing loss and damage to life by natural disasters, and managing our natural resources. They have a number of resources for finding internships, paid employment, and volunteering in the field of Environmental Science listed here. Many opportunities for graduate school fellowships (very similar to scholarships) are detailed here. Association for the Advancement of Sustainability in Higher Education (AASHE) is a group dedicated to inspire and catalyze higher education to lead the global sustainability movement, in an equitable and ecologically healthy manner. Various scholarships are available to students looking to help lead the way in these fields. More information can be found here. Brower Youth Awards is named after an important former leader of the Sierra Club, six awards are given annually to young environmentalists (ages 13-22) attempting to make a difference in the world through sustainable projects and innovative ideas. The awards help raise awareness of the youth and project locally and beyond. These are not limited to college students but may help with funding, as well as the chances of receiving additional awards. 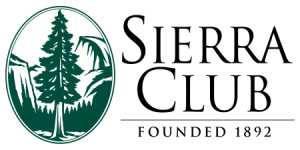 The Sierra Club boosts 2.4 million members and supporters as well as 64 chapters. They believe in exploring and preserving the outdoors and have helped pass the Clean Water Act, the Clean Air Act, and the Endangered Species Act. David Brower also founded the Earth Island Institute and Friends of the Earth. More information about the awards can be found here. Brown and Caldwell is an engineering firm specializing in environmental consulting which offers a variety of scholarships. Some of them are very specific, but not all. More information can be found here. 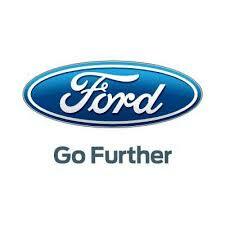 Ford Motor Company is a well known automobile company which encourages the education of youth. A variety of scholarships are available through them, and in conjunction with other agencies. More information can be found here. National Environmental Health Association and the American Academy of Sanitarians Scholarship awards are available through these paired organizations for undergraduate and graduate students in the field of Environmental Health. More information can be found here. The National Park Service (NPS) works to preserve history and maintain National Parks for the public. NPS has a compilation of a variety of scholarships and fellowships that may be appropriate to students intending to work for them at a later date, it may be found A number of these focus on museum studies, not just environmental studies. The S. Green Building Council (USGBC) is a private non-profit organization, comprised of tens of thousands of member organizations, chapters, and student volunteers, that promotes sustainability in the design, construction and operation of buildings. Every year need-based scholarships are available to attend the annual Greenbuild convention. Other opportunities may be available as well. More information can be found here. As the fields of Environmental Science and Studies grow more popular, there will be increasing numbers of students applying for funding, but also, hopefully, increasing numbers of awards. Remember to begin with your FAFSA to determine your aid eligibility, and look from there. If you do use a counselor, it may help lower your costs with them, as well as make you less intimidated by the funding process if you complete that step on your own. Make the most of the financial aid office of your chosen school; they have opportunities they may not offer unless you ask, especially in your junior year and above. Feel free to use this list and check back often for any updates. Good luck!